A classic croquet set. 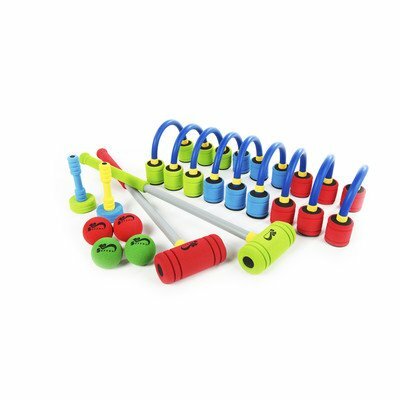 Set includes 23" Long mallets 9 gates, 2 pins and 4 balls dia 60+/-2mm Suitable for younger children - primary age. If you have any questions about this product by 360 Athletics, contact us by completing and submitting the form below. If you are looking for a specif part number, please include it with your message.